Railpictures.ca - colin arnot Photo: Not stopping at Smiths Falls VIA P42DC cruises past the old station building en route to Toronto. | Railpictures.ca – Canadian Railway Photography – photographie ferroviaire Canadienne. 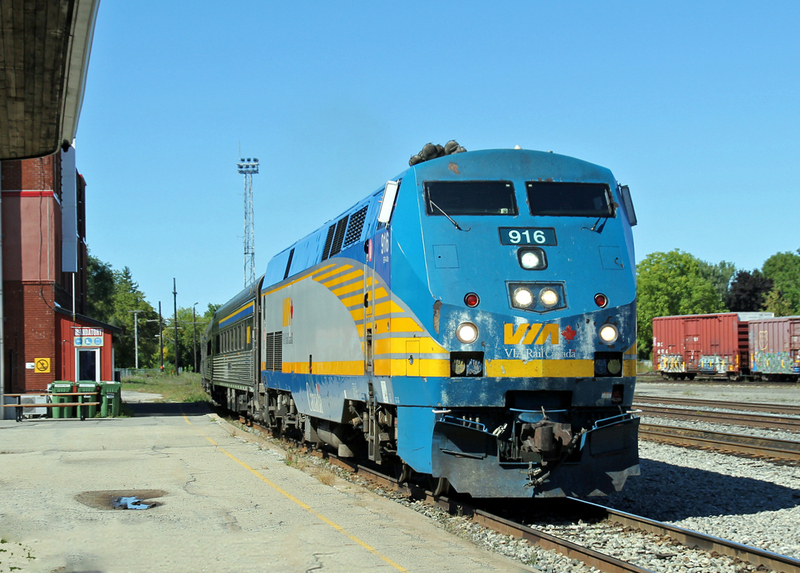 Caption: Not stopping at Smiths Falls VIA P42DC cruises past the old station building en route to Toronto.